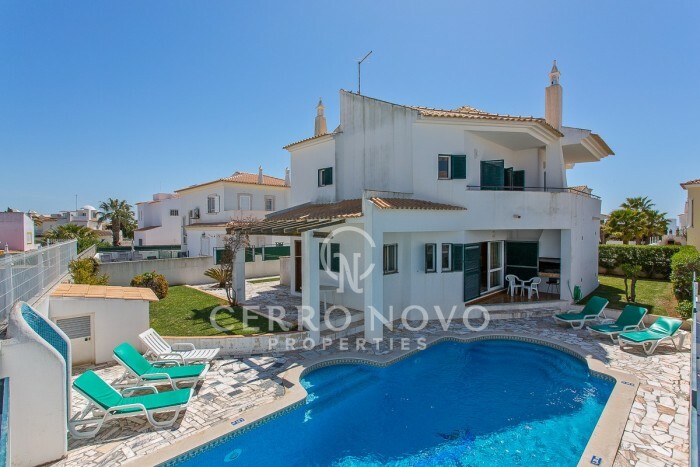 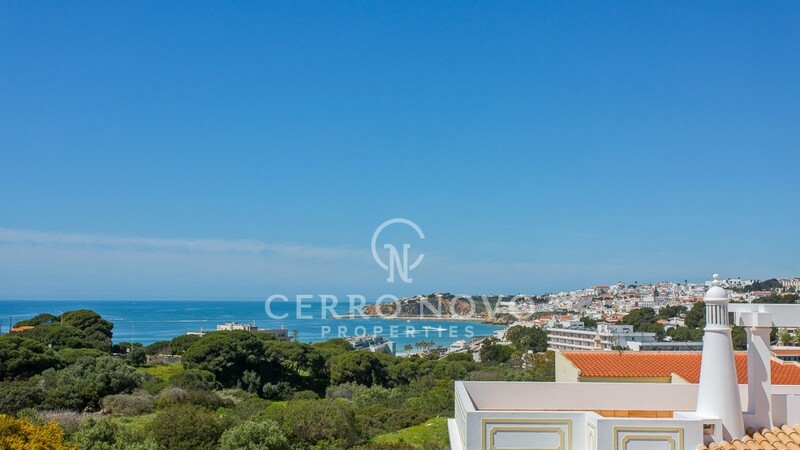 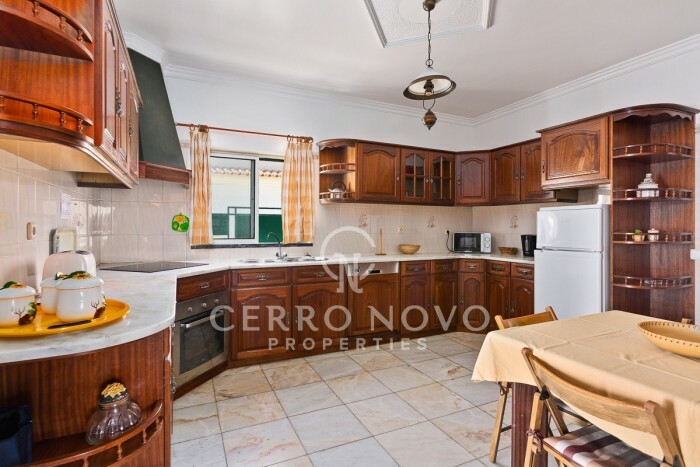 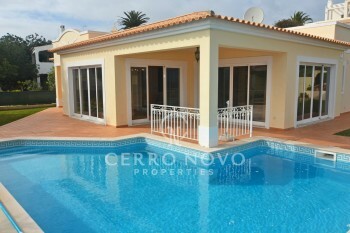 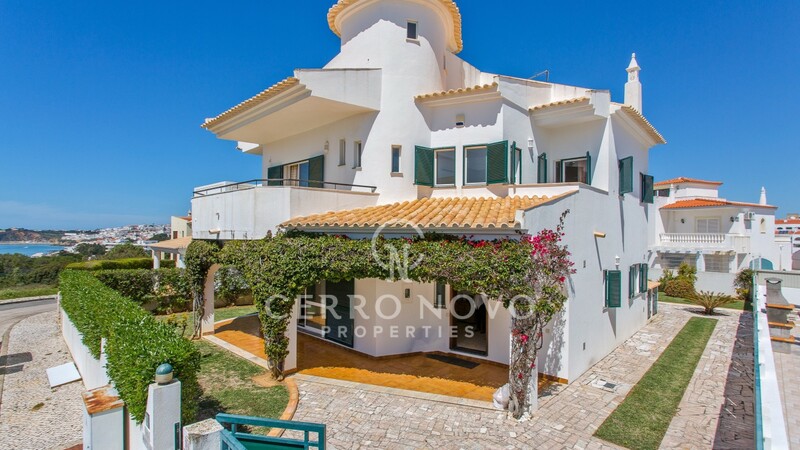 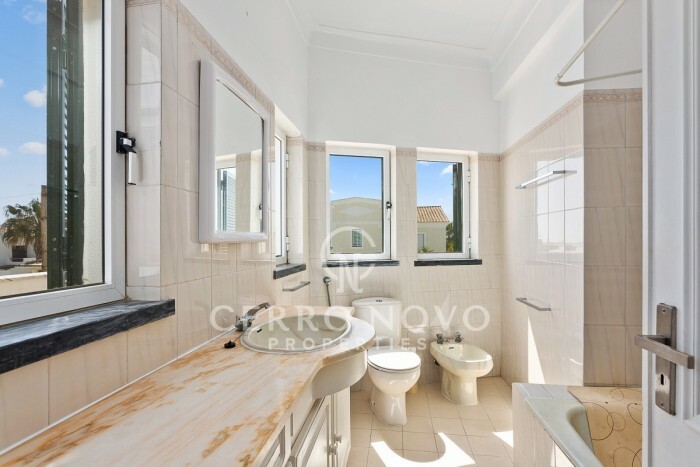 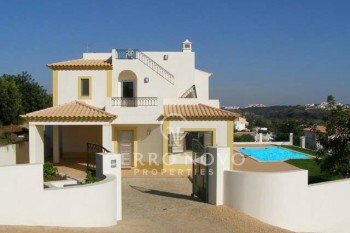 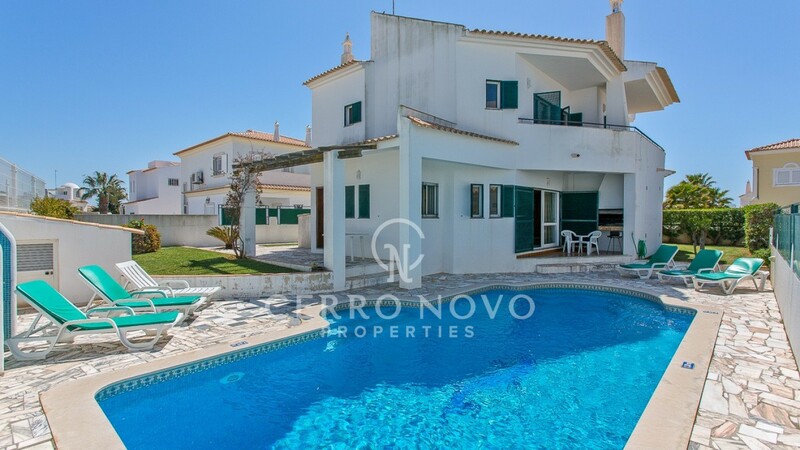 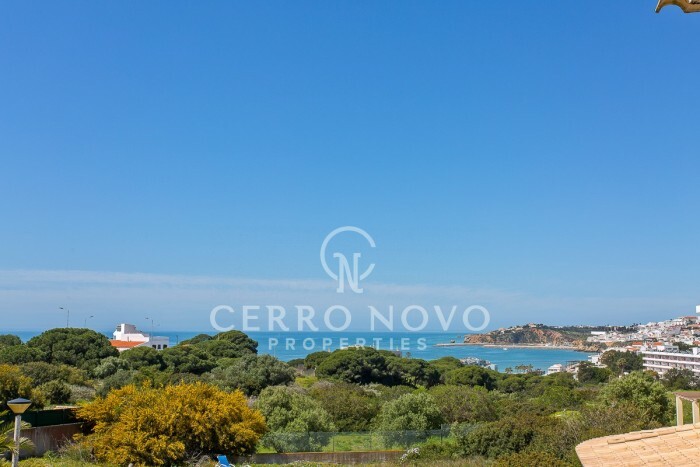 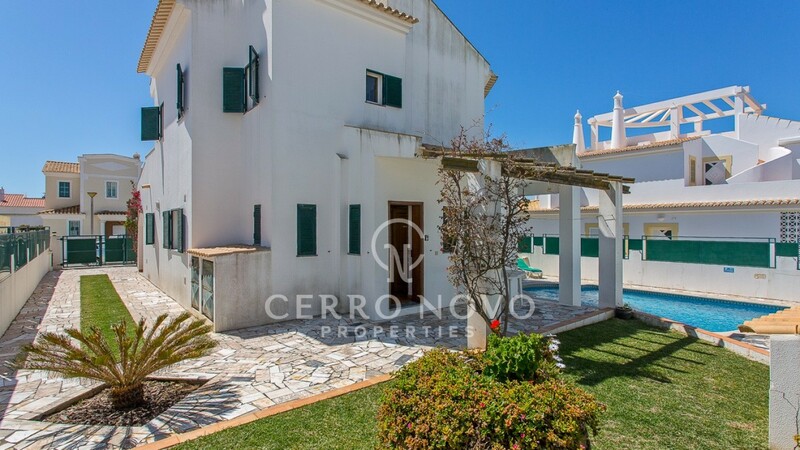 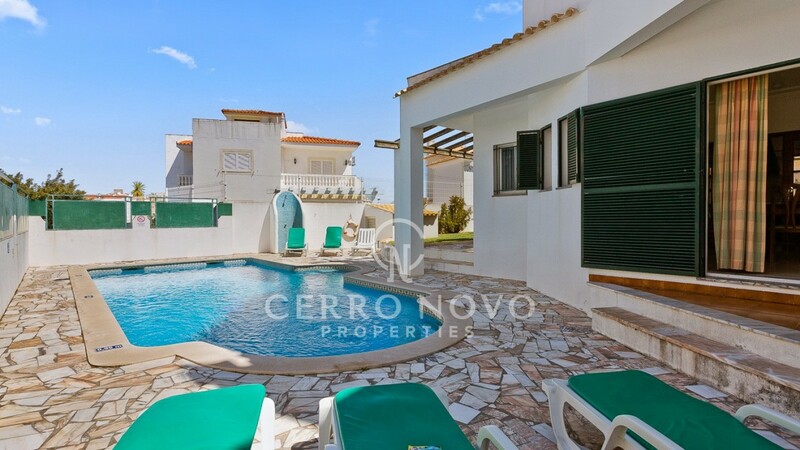 Spacious three bedroom villa built in two floors, located in a quiet but very central residential area in Albufeira and only a fifteen minute walk form the old town or Oura, and only 700 metres from the beach. 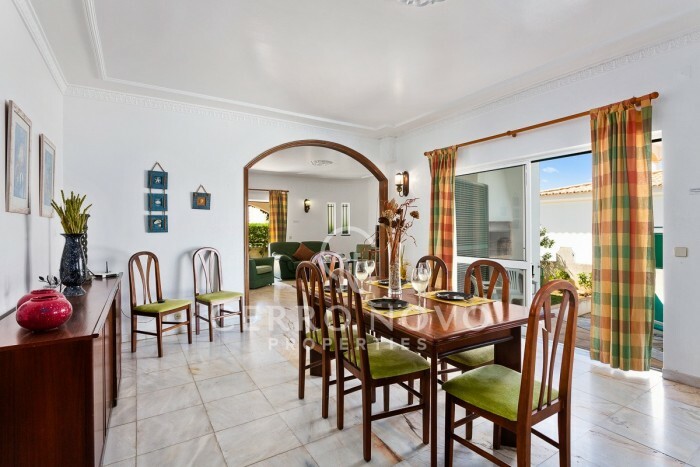 This villa has a large kitchen, a lounge with dining area separated by an archway, and access to the sun terrace near the pool with fitted bbq, and to the garden. 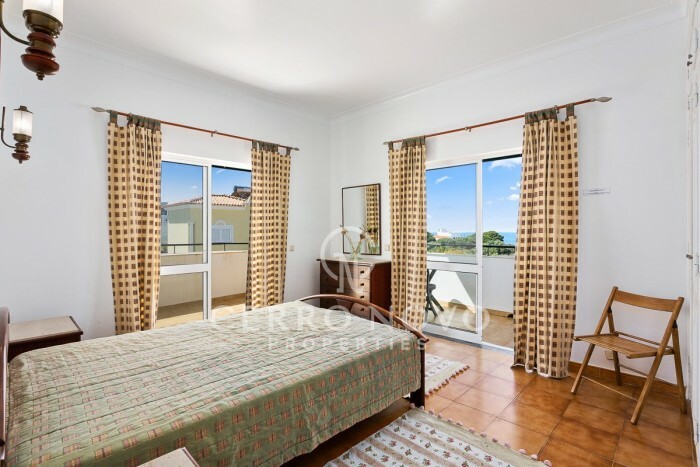 On the first floor there are three suites, two with sea views and a large south facing terrace. 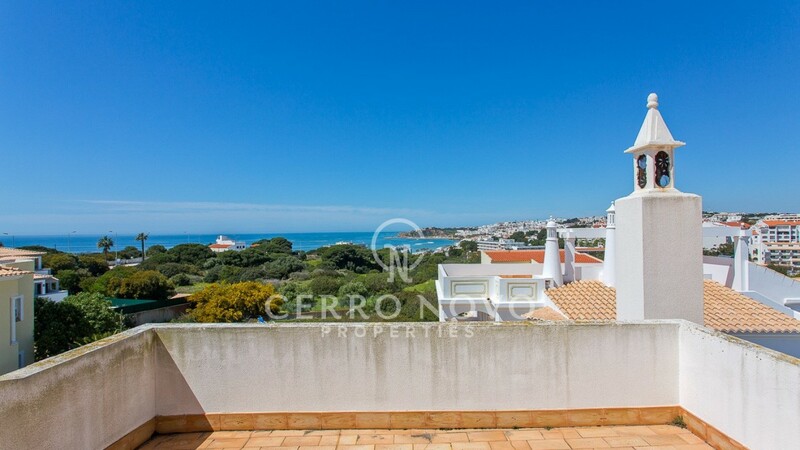 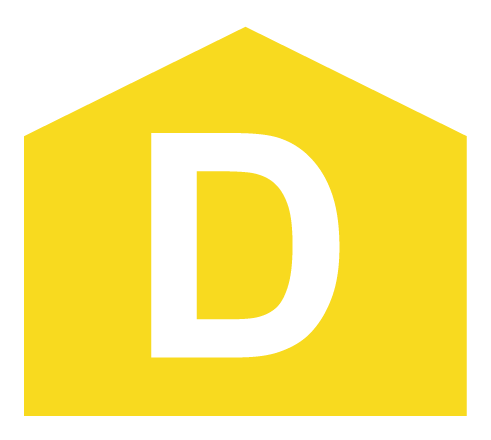 There is also a roof terrace with panoramic views over the ocean.